I am a little obsessed with researching, reading and learning more and if you are looking to grow stronger, longer and healthier nails and lashes then you want to keep reading. My nails seem to grow for a bit and then get a little weak on the sides so I end up having to cut them. Now, do not get me wrong I am not looking to grow claws I just want to have stronger nails. When it comes to my eyelashes I do not have the fullest or longest lashes and I am completely incapable of using fake lashes! So based on my research I found natural remedies that can be used for both and you probably already have the ingredients at home! You might have noticed that I am a little obsessed with containers and therefore I had to use my little containers for both my nails and my lashes. I use an old nail polish bottle (it use to hold clear nail polish) that I first cleaned with a little nail polish remover, kept in the bottle for 2 days. After 2 days I poured the nail polish remover out and then cleaned and disinfected it. After the bottle is dry, all I do is pour a little bit of Virgin Coconut Oil and add 1 capsule of Vitamin E Oil for extra strengthening. 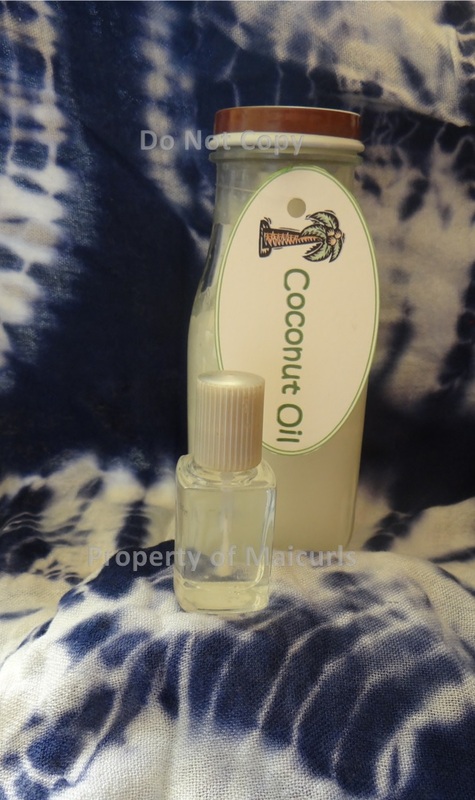 Note: You do not have to put the oil in a nail polish bottle you can just put a drop or two of Virgin Coconut Oil on your finger tip and rub it onto your nails. 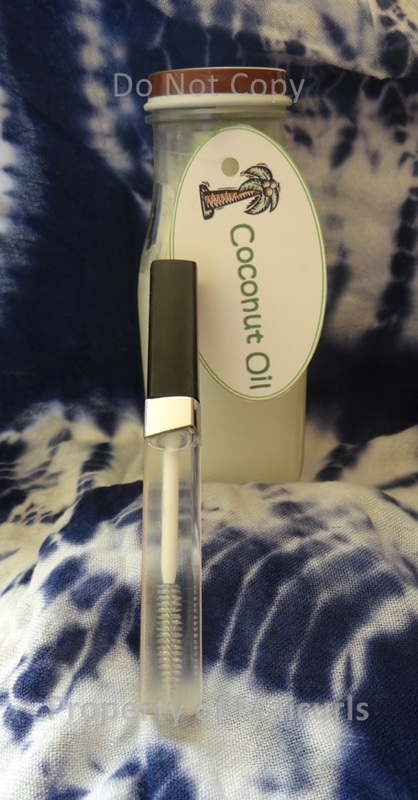 The more frequently you use it the more effective it will be and it is best to apply the oil onto clean, dry and bare nails (no polish.) Leave the oil on for a minimum of an hour (without washing your hands) it would be best to leave it on overnight, applying before you go to sleep. If you plan on applying nail polish after you do the treatment make sure to remove any trace of oil BEFORE you apply your polish otherwise the oil will ruin the polish. I use an old mascara bottle (it use to hold clear mascara) that I first cleaned and disinfected. It is easier to clean the container of an old clear mascara as apposed to a black, blue, brown etc. After the bottle is dry, all I do is pour a little bit of Virgin Coconut Oil and add 1 capsule of Vitamin E Oil for extra strengthening. You can use castor oil which is said to be even more effective but I found it difficult to get the oil in the small opening of the container because the oil is thick. Note: You do not have to put the oil in a mascara bottle, you can just put a drop or two on your fingertip and run it across your lashes. Regardless of what you use DO NOT GET OIL IN YOUR EYES! You also can use this for your eyebrows in case you have over plucked them over time or have really thin eyebrows like I do! The more frequently you use it the more effective it will be and it is best to apply the oil onto clean, dry and bare lashes (no mascara.) Leave the oil on for a minimum of an hour (without washing your face) it would be best to leave it on overnight, applying before you go to sleep. If you plan on applying mascara after you do the treatment make sure to remove any trace of oil BEFORE you apply your mascara otherwise the mascara will run and you know what that will look like! 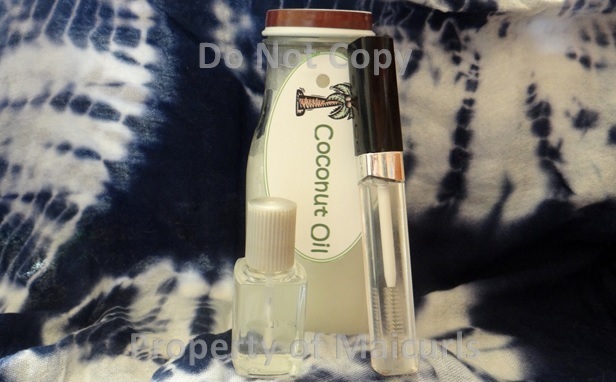 This entry was posted in Castor oil for lashes, Coconut Oil for eye lashes, Coconut Oil for nails, Vitamin E oil for lashes, Vitamin E oil for nails and tagged castor oil, castor oil for lashes, coconut oil for lashes, coconut oil for nails, growing longer stronger eye lashes, growing longer stronger nails, virgin coconut oil, vitamin e oil for lashes, vitamin e oil for nails on March 19, 2014 by Maicurls.